The latest chapter in the Lost Planet series comes to Xbox 360, PlayStation3 and Windows PC in early 2013. 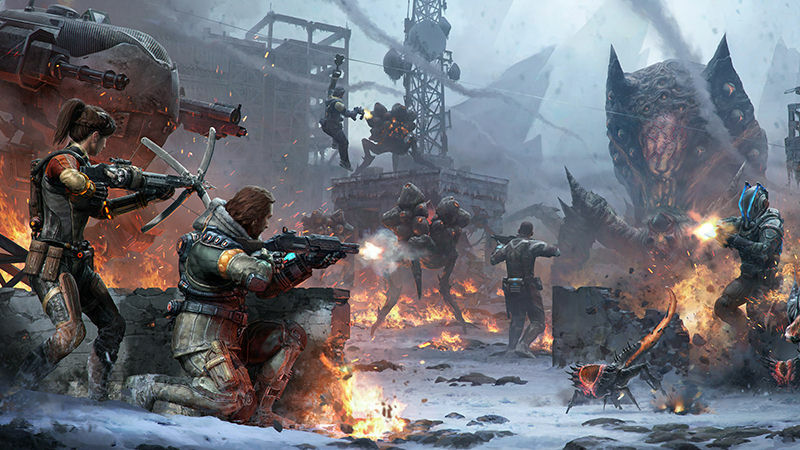 The extreme and unpredictable conditions that characterised the Lost Planet series return, harsher than ever before. Lost Planet 3 reveals new truths about the foreboding planet and the colonial history of E.D.N. III. Lost Planet 3 introduces Jim Peyton, a rig pilot who leaves Earth to take on a hazardous but lucrative contract on E.D.N. III. Working for Neo-Venus Construction (NEVEC) who are preparing the planet for colonisation, Jim joins his fellow pioneers at the Coronis base and begins surveying the uncharted terrain and obtaining samples of the planet’s energy supply – Thermal Energy. With NEVEC’s existing Thermal Energy reserve running low the fate of the Coronis mission depends on the natural source of the energy supply being located. Realising that this is a great opportunity for a huge pay-off and early ticket home to his family, Jim braves the risk of the treacherous environment.